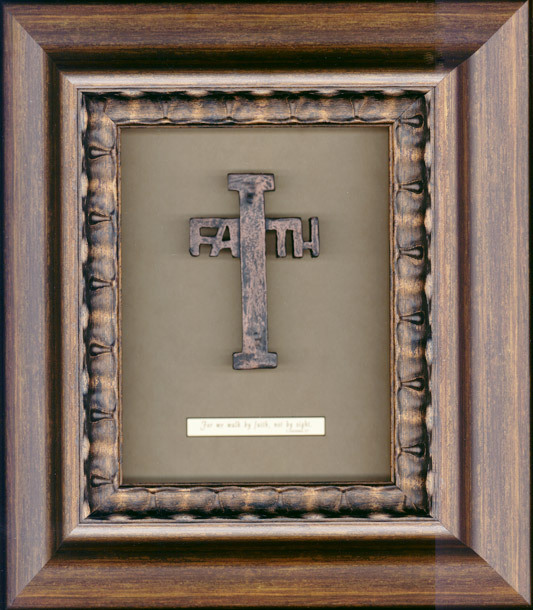 "The Faith Cross was sculpted by Jake Marshall and cast in resin. Framed in a custom shadow box. Accented with a brass colored nameplate imprinted ""For we walk by faith, not by sight."" II Corinthians 5:7. The cross measures 5x3.5 inches. Frame size is 8x10 inches.Frames and mats vary.